Takeaway: Oil and gas work is inherently dangerous, and working at height amplifies the risks. An oil worker looks up the derrick ladder in front of him. The task will only take a few minutes… it will take more time to put the safety gear on! His colleague urges him on – “I got you,” he says. As he begins to climb, he wonders if he’s made the right choice. It’s an all too common occurrence in the industry. Workers dismiss the need for fall protection. They think it’s enough to simply have each others’ backs. Oil and gas work presents numerous dangers. And working at heights amplifies many of them. All it takes is a slip of the foot or a bit of equipment movement for a regular day to turn deadly. Despite improved safety standards and equipment, falls remain one of the leading causes of death in the oil and gas industries. Between 2005 and 2014, workers in these industries experienced 63 fatal falls. That's an average of more than six per year. 44 percent of these are attributed to rigging up or down, or inserting or removing a drill pipe into a wellbore. More than half of the falls were from heights of more than 30 feet. That makes sense given that derrick ladders are often more than 100 feet high. 60 percent of them involved contract workers. And an astounding 41 percent of fatal falls happened in one state: Texas. These statistics highlight the importance of fall protection in oil and gas work. And it's more than just giving them the right gear. They also need to be trained to understand when, how, and why they must use it. Oil and gas work may be inherently dangerous, but there are steps you can take to minimize the risks. Another significant hazard is the derrick ladder. To service a rig, it’s often necessary to climb a derrick ladder. Many workers do this repeatedly throughout their shifts. These ladders usually exceed 100 feet and may be greasy, icy, or extremely narrow. Sometimes, ladders are offset and workers must transition between them or from the ladder to the derrick. And they have to do it while remaining fully protected, which can be challenging. Though many workers don’t realize it, the anchorage is perhaps the most critical part of a fall protection system. In the event of a fall, the worker is suspended from the anchorage. Their life depends on the strength of it. OSHA regulations require every anchorage to be able to support at least 5,000 lbs. per worker attached to it. There are two kinds of anchorage points: fixed and mobile. The easiest system is a series of fixed-point anchors over the work area. The workers attach themselves to these anchors using lifelines. As work progresses, they can move their connection to adjacent anchors. Mobile anchor systems may be best, however, if multiple workers are moving around in the same area. The full-body harness is designed to protect workers from serious injury in the event of a fall. These harnesses have components of their own, including webbing, hardware, and pads. The webbing should be tightly woven and in good condition. A harness with cut, frayed, burned, or otherwise damaged webbing should never be used. Remove it from service immediately. The hardware should be sturdy and easy to use. It should never have sharp edges that could damage the webbing. Always inspect hardware for signs of damage, including rust, corrosion, and distortion. A good fit is crucial for maximum protection. Harnesses should be snug, but not so tight that it causes discomfort. Chest straps should be at the mid-chest area. The D-rings should hit the middle of the back between the shoulder blades. Different harnesses fit workers differently. Ensure consistent compliance and safety by finding the right one for each employee. The connecting device joins the worker’s harness to the anchorage point. It’s usually either a lanyard or a self-retracting lifeline (SRL). Lanyards used for fall arrest must be shock-absorbing. These provide deceleration distance during a fall. They can also reduce the arresting forces by 65-80 percent below the injury threshold. Because they allow up to six feet of free fall distance, they need a lot of clearance. Self-retracting lifelines offer more flexibility than traditional lanyards. They function like a seatbelt to reduce slack in the line. And they need only about two feet of arresting distance. This reduces the likelihood of a worker hitting the ground or an obstruction during a fall. SRLs also offer greater mobility and are among the easiest fall arrest systems to conduct rescues from. Because of they work with swing fall risks and minimal clearance, SRLs are often the preferred choice for oil and gas workers. When a fall occurs, employers must have a plan in place for a speedy rescue. In some instances, workers can to self-rescue and begin a controlled descent to the ground. Other times, rescue devices may be needed to help get workers safely back to a lower level. Fall protection isn’t a one-size-fits-all deal. The equipment you need depends on the work environment you use it in. And except for "sister rigs," it’s rare to find two identical rigs. Harnesses must be specifically designed for rig workers. They must withstand the demands of drilling applications and monkey board operations. They should have shoulder connectors that allow connection of a separate belly board belt for positioning during pipe work. Derrick harnesses have multiple D-rings that allow workers to maintain constant tie-off while at height. Lifelines must be able to withstand the harsh environments on oil rigs. The crown and ladder safety systems should include sealed SRLs. A smaller SRL should be attached to a sloped line cable or boom arm over the monkey board for extra protection. An SRL that allows derrick workers to connect to their back D-ring while climbing up the derrick is a great option. Horizontal lifelines can be used in areas like above the blowout preventers and stabbing board. Descent devices allow workers to quickly and safely escape in case of an emergency. It must be simple to use so a worker at height doesn’t need to connect or disconnect fall protection lanyards in a stressful and dangerous situation. Weather-appropriate gear is essential. Drilling is often done in the winter and in harsh saltwater environments. The PPE, then, must be rust-resistant and suitable for use in the local climate. 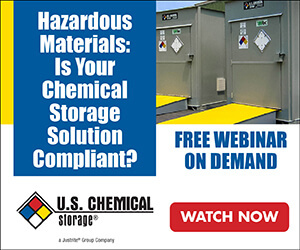 While many companies opt for items like sealed SRLs (which won’t freeze or corrode), other suitable options may be available. No matter what type of PPE you’re looking for, take the time to assess whether it adequately addresses the hazards on your jobsite. Fall protection isn’t a choice for oil workers. It’s a life-saving necessity. But workers also need training, which should be hands-on and customized to rig workers. Oil and gas work is inherently risky. Keep your workers safe by giving them the knowledge, equipment, and support they need.